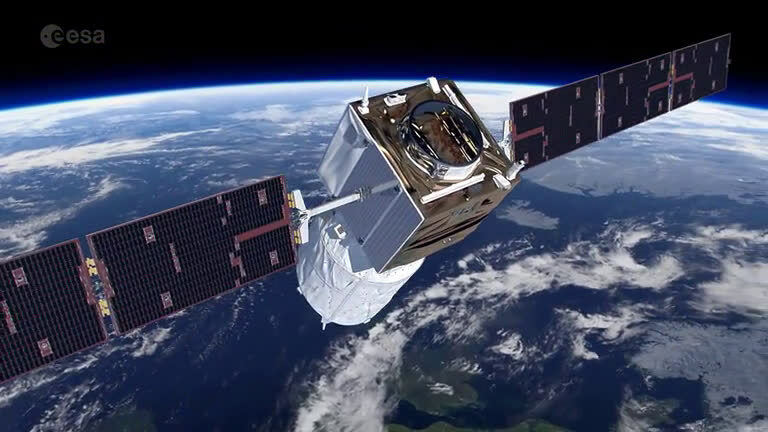 Following the launch of Aeolus on 22 August, this extraordinary satellite's instrument has been turned on and is now emitting pulses of ultraviolet light from its laser, which is fundamental to measuring Earth's wind. And, this remarkable mission has also already returned a tantalising glimpse of the data it will provide. Lofted into space on a Vega rocket from Europe's Spaceport in French Guiana just two weeks ago, ESA's Earth Explorer Aeolus satellite has been designed to measure winds around the globe. Aeolus will play a key role in our quest to better understand the workings of the atmosphere and, importantly, this novel mission will also improve weather forecasting. Aeolus carries a revolutionary instrument, which comprises a powerful laser, a large telescope and a very sensitive receiver. It works by emitting short, powerful pulses – 50 pulses per second – of ultraviolet light from a laser down into the atmosphere. The instrument then measures the backscattered signals from air molecules, dust particles and water droplets to provide vertical profiles that show the speed of the world's winds in the lowermost 30 km of the atmosphere. The mission is now being commissioned for service – a phase that lasts about three months. One of the first things on the 'to do' list was arguably the one of the most important: turn on the instrument and check that the laser works. ESA's Director of Earth Observation Programmes, Josef Aschbacher, explained, "Aeolus is a world premiere. After the launch two weeks ago the whole community has been anxiously awaiting the switch-on of the ultra-violet laser, which is a real technological marvel. "This has been successful. We have pioneered new technology for one of the largest data gaps in meteorology – global wind profiles in cloud-free atmosphere. I am grateful to all who have made this success possible." ESA's Aeolus project manager, Anders Elfving, added, "Aeolus has been one of the most challenging missions on ESA's books. And, unsurprisingly, we have had to overcome a number of technical challenges. "After many years in development, we had absolute confidence that it would work in space, but it was still somewhat nerve-racking when we turned on the instrument a few days ago. "But the years of work certainly appear to have paid off. After turning it on, we started slowly and steadily increasing the power. "It is now emitting at high power – and we couldn't be happier." Richard Wimmer from Airbus Defence and Space noted, "It is a very exciting time to have Aeolus safely in orbit and doing what we and our industrial teams spent years building it to do." Aeolus has also already made some astonishing first measurements. ESA's Fabio Buscaglione, who heads the data processing for Aeolus, said, "We have already been able to process the first wind data, which are quite remarkable." 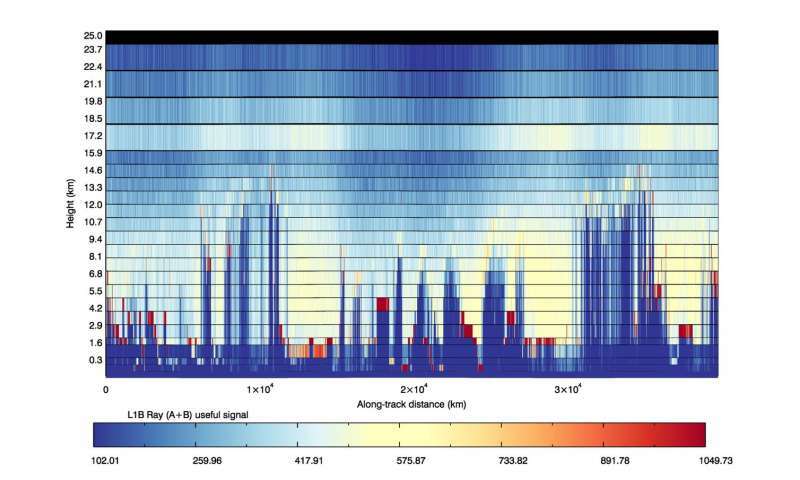 Oliver Reitebuch from the German Aerospace Center, DLR, remarked, "We are extremely pleased to see that the first light from the atmosphere looks exactly as we had hoped – confirming that the mission is already well and truly on track." 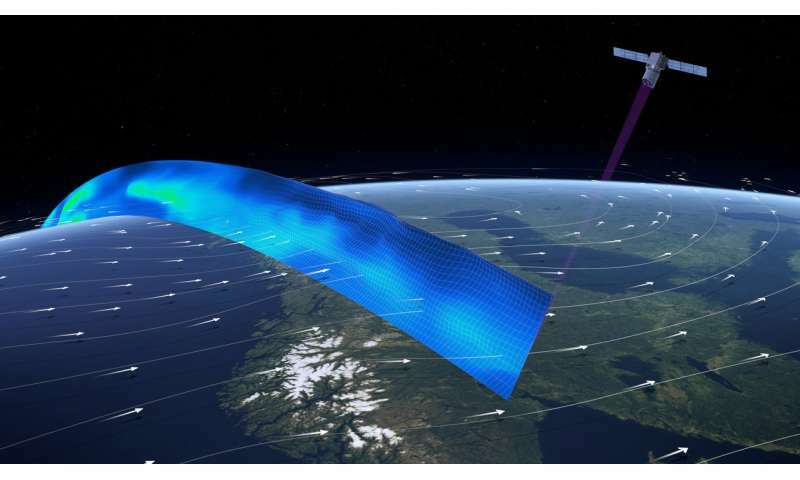 Michael Rennie from the European Centre for Medium-Range Weather Forecasts, added, "At this very early stage in the mission – just three days after the instrument was switched on – Aeolus has already exceeded expectations by delivering data that show clear features of the wind. "The instrument is not yet even fully calibrated, so these results are just incredible." With Aeolus instrument healthy and performing well, engineers will continue ticking off other items on the 'commissioning to do list' so that in a few months Aeolus will be ready to deliver essential information to improve our knowledge of atmospheric dynamics, further climate research and improve weather forecasts.